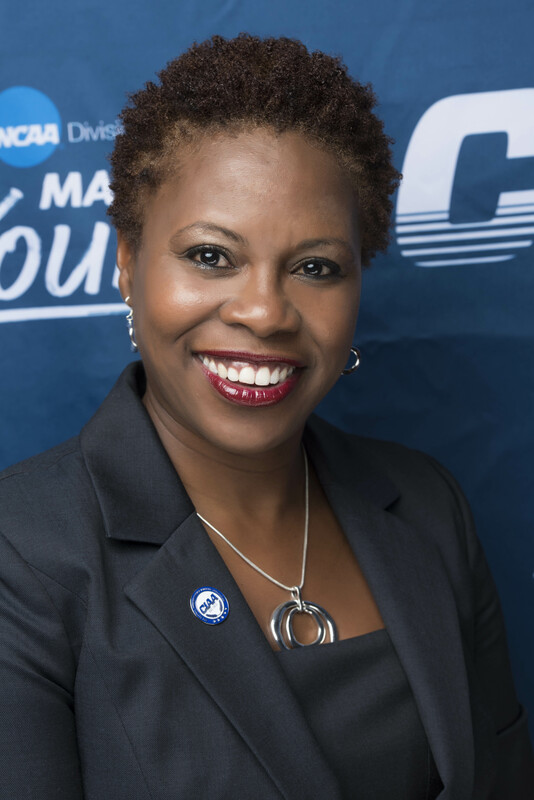 On a typical day as commissioner of the Central Intercollegiate Athletic Association (CIAA), Jacqie McWilliams is likely doing the absolute most. Brand manager one minute, arbitrator the next, fundraiser and cheerleader are not far behind. The full scope of her job would take an hour to describe, but McWilliams has zero complaints. This, after all, is her dream job, one she said she’s worked toward her whole life — as a CIAA student, employee and student athlete. But even as the CIAA is one of the nation’s oldest and most revered athletic conferences, McWilliams often finds herself having to set the narrative straight. “I’ve been in places and I come across folks who will be like, ‘I heard about that party that happens every year’ and I just cringe inside,” said McWilliams, commissioner since 2012, the first woman to hold the position in the conference’s 100-plus years. “Do I get mad and ignore [them] or do I use it as an opportunity to educate? I choose the education path – and I go into my 30-second spiel to let them know that the CIAA Tournament is more than a party; we are a 12-member institution built on pride and tradition.” But make no mistake, the CIAA Tournament, to be held in Charlotte, North Carolina, Feb. 21-25, is everything you’ve heard – and likely a whole lot more. There will be hoops – 22 games total. And, yes, there will be an official CIAA party – and likely other parties around town not affiliated with CIAA. Students and alumni – young and seasoned – will take over the Queen City, snatching the spotlight away from Michael Jordan’s playoff-hopeful Hornets. There may even be talk of the “CIAA service charge” fee that was assessed on patrons by some local businesses that caused major angst the last two years. Still, there will be plenty of noise this week – some good, some bad – and it’s McWilliams’ job to stay on message: “During CIAA week, this event creates upwards of 600 jobs, impacts about 10,000 youth and [donates] over 500 shoes and socks to kids – not mention an economic impact that has surpassed over $50 million the last three years.” In a wide-ranging conversation with The Undefeated, McWilliams talked about the conference’s history – and also gave some context into why the conference chose to move eight of its 10 sports championships from the state but kept its signature event (not to mention highest-grossing) in North Carolina after the passing of House Bill 2, which limits protections for LGBT individuals. You’ve been the CIAA’s commissioner for almost five years now. Is that enough time to get fully comfortable in the role? How’s it been working in this very male-dominated field – as an African-American female in the South? I think I’ve dealt with all of the isms that comes with the job – the racism, the sexism, the genderism, all the isms. Sometimes it’s been very hard to understand the why — because at the end of the day all we want is access and opportunity to do our jobs well no matter what gender, race, ethnicity or where you’re from. And so putting that in perspective and having some tough skin and understanding who’s around me regardless of who. I can tell you our [board members] have been great mentors and have helped me manage some of the isms. We’ve had some seasoned presidents who are pretty old-school but still have been very respectful. I know I have colleagues in the business who probably don’t have to deal with some of the things I have to deal with, and it’s my ‘normal.’ I wish it wasn’t, but it comes with being black and it comes with being a female. It’s not always fun, but it’s allowed me to build confidence and more self-esteem and attitude and to stay focused on why I’m here and be able to execute those things with excellence regardless. When the CIAA decided to remove eight of its 10 sports championships after the passing of House Bill 2, how tough was that decision at that time? It was one of the toughest. Tough because it had so much national, regional and local impact. There were decisions being made around us that influenced folks to put pressure on myself, the board or the community to want to do something. We became more than just an athletic conference. What’s unique with CIAA is we’re a historically black conference [but] the community sees us not just as an athletic conference but as a place that can effect change. We have to be careful as a conference and as a nonprofit. We had nonprofit legal consulting between the 12 board members, talking to folks here in the city and in the statehouse. There was a lot of discussion and conversation on how do we come up with a decision that protects the integrity of who we say we are as our mission and vision states but also that we don’t hinder opportunity for our 3,000 student athletes that we support annually. It’s tough. It was really tough on trying to balance the feelings and the emotions – not just with HB2 but also with the [Keith L. Scott shooting by police] incident that took place here [on Sept. 20, 2016] … so there was an energy around [us] separate from HB2 coupled with the NCAA and other conferences pulling out [of the state]. Why was the decision made to keep the men’s and women’s championships here? The basketball championship is our largest championship. That’s where a lot of the resources are spent; that’s where a lot of the sponsorship and agreements are made. We have some long-term agreements that are built on our relationship here in Charlotte … we came in here two years ago to do a six-year agreement that ends in 2020 with the city of Charlotte. They moved us here as part of the package. They cover a lot of the expenses; they pay into scholarship dollars, and they offset costs for facility rental. Some people have said we stayed for the money. Well, the money is great, but there are some obligations that had we broken them, the money would’ve been a huge factor for the conference to figure out. And, you had to balance that, yes? Very much so. If we did move, how would that impact the resources that we get to provide for the other 12 championships and all the leadership and development programs we put on for our student athletes? Also, we also had to factor that there could be some sponsors that might’ve pulled out if we would’ve pulled out of North Carolina. There were also some legal ramifications – with some other contractual agreements that we have. So it was a lot to think about and to really come up with the best decision. What do you say to people who say you stayed for the money — because it was the easy call to make? There are some folks that are not happy and I get that, but I think the board made the right decision to support what we need to do currently in the space. Absolutely. We talked about retaining an LGBTQ diversity consultant [whom the conference] hired in September. We decided we needed to do more; we have this individual going to our campuses. The NCAA is partnering with us to do an initiative creating awareness and having a platform for our student athletes and membership to talk about the LGBTQ space and what it means to be inclusive. During the tournament we’re putting on a town hall forum that will invite the community, key officials and our sponsors to talk about bridging diversity and inclusion and these types of issues and use sport as a platform to create education and awareness. Every challenge we’ve had as a conference, we’ve always found opportunity to do something great – to make impact. Worth noting is the CIAA Tournament’s recent history of economic impact. Please speak to that. The economic impact last year was 57.4 million; the year before was 55.6, so we’re seeing growth every year. Just think if the average over the last 12 years is 50 to 52 million, that’s a lot of money that’s been poured into this community. When people see that number, they think that all those dollars go directly to the CIAA. That’s not true. We do get portions to help support things that we’re doing here in the community; the dollars we do get is when you spend to buy tickets or come to our official after-party [which] we’ve done the last two years to enhance the experience of the venue. The reality is some folks come for just the party, and that’s OK, right? That’s OK, but you’ve got to buy a ticket. If you don’t purchase a ticket you won’t get to see great, national talent – like En Vogue. I’m excited. My dad will probably come to his first tournament [because of] En Vogue. You’ve got Chubb Rock and Howard Hewett, too; those are live entertainers that our fans – old school, young school – love. When you are a part of that, you have an impact on what goes back into the local economy. When you stay at a hotel, you’re giving back. When you eat locally, you’re giving back. So do those things, absolutely – but the CIAA needs the support of people purchasing tickets first. So when you go into your spiel about the CIAA and the tournament, what do you say? 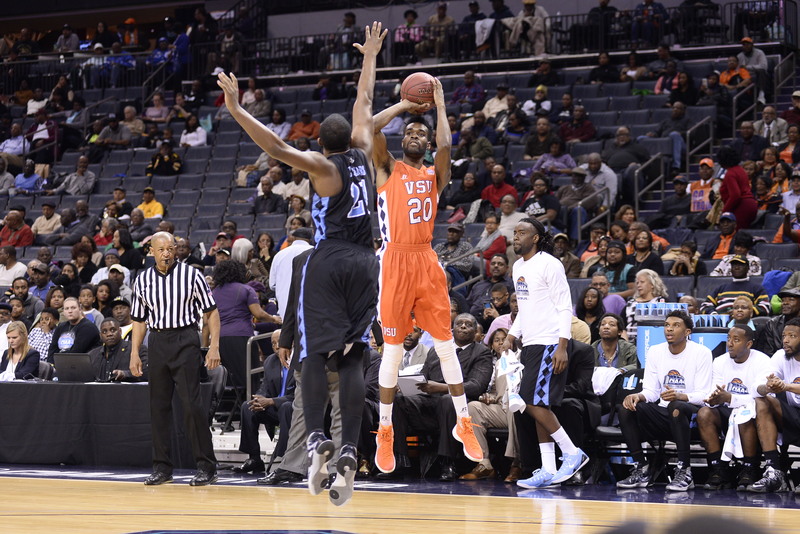 The CIAA is one of the oldest conferences in the country. We’re going on 105 years; this will be our 72nd anniversary of the men’s tournament and the 43rd anniversary of the women’s tournament. 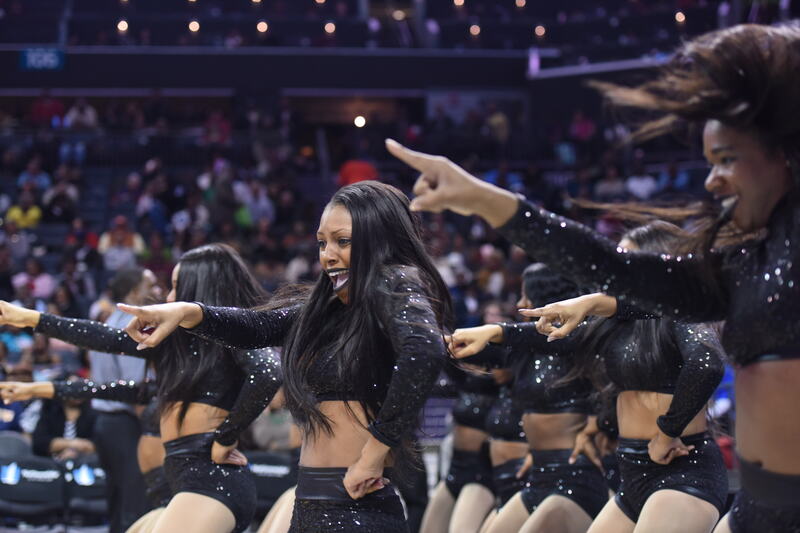 You get seven days to enjoy and experience what CIAA is about – which is tradition, leadership and community. Everything we do surrounding this event we have an engagement component – whether it’s a sponsor, student, alumni, board member or CIAA staff. We get them to engage in that ‘TLC’ – tradition, leadership and community. So when you are a part of that, we want people to be empowered by what we do to make an impact. Sound like you’ve done this before! So … is the commissioner allowed to truly enjoy the festivities – or is it all work, all the time? I’m a Howard Hewett fan. I might not be the commissioner for like, 10 minutes. Don’t tell anybody that. If you see me running all over the floor, it’s not me – it’s my alter ego. … but we are really doing great work. I don’t believe there’s any other conference in the country that does the work we do. I just don’t believe it.